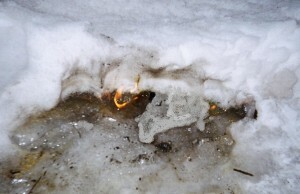 Compare a pot of boiling water heated by a blazing fire with a block of ice. That, in some respects, was the comparative state of the U.S. economy at the end of World War II, if the robust U.S. economy and job market then—which, logged a minuscule 1.2% unemployment rate in 1944 (admittedly, kept low by “employed” servicemen and stay-at-home housewives)—is compared with that of much of the rest of the world in 1944-1945, including vanquished post-war Japan and Germany, whose immediate fortunes after the heat of battle varied inversely with those of the U.S.
A recovering and prospering America enjoyed a fired-up and boiling war-rescued economy, while many of the rest of the earth’s inhabitants, including those in China’s undeveloped towns and villages, and in devastated Germany and Japan, facing the cold facts of under-development and under-employment could only dream of or nostalgically recall affluent times. U.S. jobs-with-benefits, such as solid pension prospects, and purchasing power that made double-income families unnecessary, were plentiful and apparently secure. Fast-forward to the modern age of rapidly developing nations, high U.S. unemployment, high U.S. underemployment, and outsourcing of businesses, manufacturing and jobs— which , understandably, to those familiar with thermodynamic basics and whose jobs have been lost, may seem rather like siphoning off boiling water into a huge vat of ice. As they see it, the average temperature in the developed, previously boiling water has dropped, while that of the undeveloped ice has risen—to continue to do so until a “thermal equilibrium” is reached? The suggested economic analogy is obvious. Wages, job growth and benefits stagnate or decrease here, increase there in inverse relationships fed by global flow. On this “thermodynamic” model, the process should lead to an eventual global equilibrium characterized by narrowing wage and other employment disparities—unless some external forces comparable to thermal insulation obstruct that process. Such obstructive forces include protective legislation, state or corporate sponsored policies, upgraded or degraded infrastructure (“here” and “there”, respectively), erupting technological gaps and/or catastrophes—natural or unnatural, e.g., regional pandemics, earthquakes, political revolutions and real tsunamis. In the absence of such disequilibrium-inducing and sustaining disruptors, if the thermodynamic analogy is valid—a big “if”—the world should transition toward general wage and job parity over the long term, very much as cultures under the influence of “internationalization” seem to be undergoing a comparable quasi-thermodynamic blending into a homogeneous, ubiquitous artery-clogging fast-food and clogged traffic-artery auto-exhaust soup. Naturally, the opposite of equilibrium obstructers, i.e., anything that facilitates the rapid transmission of technology, information, materials, culture, cash and credit, health care, etc., should also facilitate the cooling of the developed nations’ wages and job markets in tandem with the heating and melting of the corresponding undeveloped ice—a process much in evidence in hotting-up China. There, wage inflation, created or necessitated by, among other things, government placation of restive underpaid workers, is now a serious concern, says Time Magazine—a worry likely to fuel increasing Chinese outsourcing of some manufacturing to the likes of Laos, Vietnam and Cambodia. From the perspective of the thermodynamic model, the modern phenomenon of closing gaps and flow of wages and jobs across borders should be as predictable as the flow of heat from a hot pot of soup to a cold bowl into which it is poured, and as automatic as foreign exchange market adjustments to changes from heating to cooling demand for any given currency—again, in the absence of any “exogenous” (external) variables like currency revaluation/devaluation (which is NOT the same thing as currency appreciation/depreciation, the latter being a free-market phenomenon, while the former is a government or central-bank controlled intervention effect or goal). As for why the thermodynamic job-flow model would apply now and more than ever, credit is presumably due to all the forces that are uniquely accelerating economic, technological, cultural, scientific and political diffusion leading to a new equilibrium. Just as there exist exogenous, artificial or natural brakes on this kind of flow, there also exist accelerants to the process of wages and job meltdown: These include the Internet and other instantaneous transmission of information, research publication and sharing, patent and copyright piracy, the push for a centralized “New World Order” or other one-world global governance, narrowing of business law and tax codes/rate gaps, broad trade agreements, regional political unification, homogeneous and widespread global investment, labor-force mobility (EU-style), illegal immigration, corporatization of sovereign nations and shrinking domestic corporate profit margins as outsourcing incentives. It can be argued that, despite suspected military-industrial complexes and financial Illuminati elite conspiracies and manipulation, the world economy is coming to more closely resemble the theoretical model of a pure capitalist economy in at least in one important respect, viz., the virtually instantaneous and transparent transmission of information—in a game of nearly or more “perfect information”, especially information about supply, demand and competition that makes clandestine monopolistic, fascist and oligarchic collusion and disinformation less—unfortunately, only less—likely. With information and resources flowing as freely as jets of water gushing from a fire truck’s hose, it is theoretically and hopefully less likely that anyone will get hosed and left behind or for dead, economically speaking. For example, once developed, the first call center and tech-support service could not be concealed as an artificial competitive advantage for any time longer than it took to place a call. Once developed, the technology that enabled remote customer-call handling (and call outsourcing to India) diffused globally faster than Indian tandori chicken take-out did around the world. Like boiling water rapidly stirred into frozen waters, the rapid diffusion of information, technology and techniques is putting jobs in developed countries in the soup and at risk. Despite its intuitive appeal, the thermodynamic job-flow model may be incorrect or misleading in several ways. First, citing corresponding percentage declines and gains can be very deceptive, as the comparative U.S. and Chinese wage data above show, inasmuch as a huge percentage gain on a small population base is not automatically better than a smaller gain with a much higher wage base. Similarly, absolute declines and gains can be equally misleading when making comparisons. For example, if China creates 1 million new jobs in one month, while the U.S. creates only 250,00, the inference that China’s job-creation efforts are more successful and are closing a job-creation gap would be fallacious, given that its population is more than four times that of the U.S. In any case, the U.S. job-creation numbers would have to decline over the long term while those of China’s rise, if the job-flow model is to be confirmed (even if only weakly by that inverse correlation). Moreover, not all narrowing wage and benefit disparities can be attributed to the outsourcing of jobs or straightforward export and job competition. Many, including China’s and India’s, are due to massive improvements in domestic infrastructure, changed trade and investment policies and goals, and myriad other factors. Theoretically, the developing nations of the world can include at least some that are catching up at nobody’s expense, which would invalidate the job-flow model’s “zero-sum” game-I-win-you-lose premise. However, for the model to apply at least approximately, it need only capture a trend, not the data for every country. The non-zero wage-and-job game result is, from the standpoint of theories of very robust capitalism, only to be expected, since, after all, when capitalism succeeds, everybody is supposed to be better off and pulled to higher levels of wealth by an invisible handshake. If developed country A’s income per capita, purchasing power parity, total output, population, employment rates, and other measures of wealth remain virtually unchanged in absolute terms, while its percentage share of global wealth or exports decline, that decrease may simply be attributable to more rapid growth in undeveloped nations B, C, D and E or a shift in country A to a focus on domestic, rather than export markets (with corresponding stagnation in imports, if trade deficits are to be prevented). From this perspective, one country’s economy can, in both absolute and relative terms, heat up, without another’s absolutely cooling off. Ergo, a non-zero-sum game without heating and flow at somebody else’s expense. However, as suggested, any narrowing of gaps as defined either in relative, e.g., percentage, terms or absolutely, e.g., in rankings by dollar-denominated income per capita does provide some confirmatory evidence for the job-flow model. Despite the understandable grumbling and anxiety in some G20 countries about this ostensible global meltdown –a global flow of wages and jobs, there is, from an Olympian global perspective a heartwarming side to this melting jobs glacier: greater economic justice. Of course, thermodynamic “job flow”, unlike global climate warming, does not mean heating up everywhere; instead, job markets that were hot cool off, to become merely warm at best, cold at worst; those that were cold warm up, even to the point of being hot relative to others. Although the ideal would be heating up everywhere, the current flows suggest a redistribution of job heat with convergence to a middling level of warm, even if in the aggregate and the long term there is eventual global heating up for all. In the thermodynamic model of global jobs meltdown, in which jobs, wages and benefits flow from developed to undeveloped economies, the framework is not only a representation of the process of job and wage equalization, but also of a process of increasing justice, as the developed “haves” face involuntary contributions to improving the lot of the developing and deserving “have nots” a lot. To the extent that global equalization of job opportunities, wages and benefits reflects the merits and just desserts of the hopeful poor, huddled masses overseas hunkering down at home in a 2011 Guangzhou factory or call center in New Delhi instead of at a 1920s Ellis Island immigration center in the shadow of the Statue of Liberty, it is arguably indeed as much a stride towards greater justice and equality of opportunity as was the welcoming torch-lit wave of the Great Lady way back when and now. Despite warranted reservations about the accuracy and scope of the thermodynamic job-flow model, it does account for the fact that not only are wages and benefits cooling here and heating up there, but also that the jobs themselves have become more mobile and relocated far away from their previous moorings. Boiling water will naturally tend to bubble and be conducted or flow away through freshly heat-carved channels in ice, as bumped mobile or evaporated molecules (suggesting “our jobs evaporated” may be more than just a metaphor). When ice melts, molecules previously immobilized by the constraining ice-lattice are freed up, to flow along paths of least resistance, as they gain kinetic energy that enables work. So, it should not be surprising that not only as wages and benefits cool in the U.S. and increase—heat up—overseas, in places like India, China, and Indonesia, the jobs themselves will also flow to new locations. In fact, the extremes of boil and freeze are not necessary for these processes to occur; all that is required, according to the job-flow model, is disequilibrium without obstruction or delayed flow—some difference between two regions in terms of wages and benefits that is not caused or explained by differences in talents, resources, or supply and demand, when barriers or impediments to the rapid diffusion of heat, wage, benefits or job flow are absent or removed. What the global job-flow accelerants, channels and conduits have facilitated and made clear —in terms of the theoretical model and whatever merits it may have—is that if there ever was some inherent difference between a U.S.-based call-center employee and someone willing and able to do the same job in New Delhi, it was only temporary, unjustifiable and, in the grand scheme of things, unjust.